Where American Evangelicals have Pat Robertson who blames earthquakes, hurricanes et al on Divine displeasure, European Catholics have Fr Gerhard Wagner, (the-man-who-was-almost-auxiliary-bishop-of-Linz). After last month’s terrifying earthquake devastated Haiti and killed over 150000 people, Mr Robertson said the country was cursed for having entered into a pact with the Devil. Fr Wagner first caught the international media’s attention in January last year when he was appointed auxiliary bishop of Linz, for suggesting that it was no coincidence that Hurricane Katrina destroyed five abortion clinics and countless nightclubs. 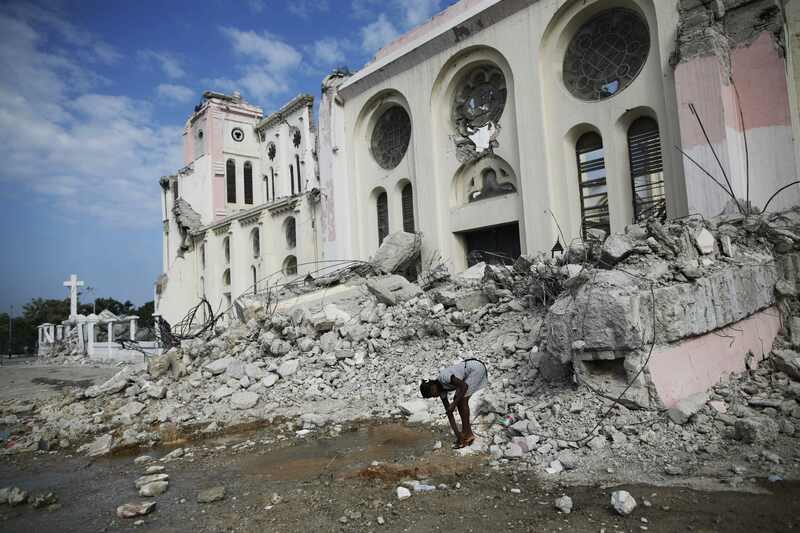 This Sunday he told the Austrian weekly Der Kurier that while he couldn’t judge whether the Haitian earthquake was an act of a vengeful God, but that it was interesting to note that 90 per cent of Haitians practice voodo. Over on Cathcon, Christopher Gillibrand has a post on the newest wrinkle in the troubled diocese of Linz. Since Dr Wagner’s interview with the OberOesterreichischen Nachrichten which I posted on last week, the Upper Austrian Church has been in a tizzy. And they’ve taken the fight to the newspapers. The beleaguered diocesan Bishop Ludwig Schwarz has lashed out at Wagner in public, accusing of raising the emotional temperature to an already heated debate about the future of the polarised diocese.